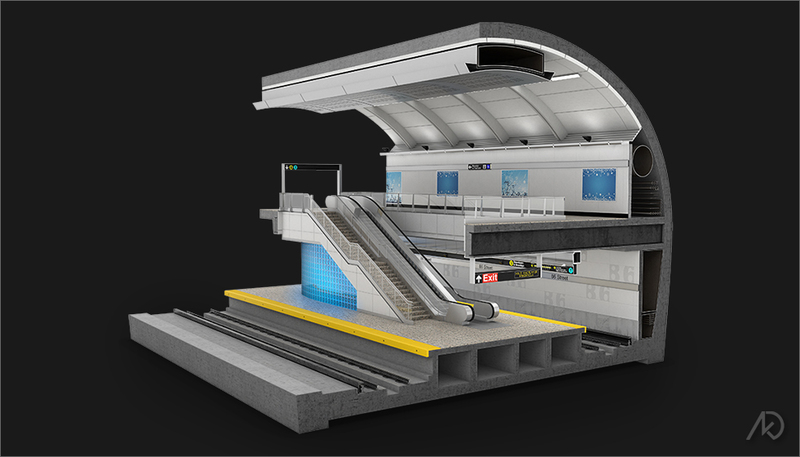 The following 3d illustrations showcase diagrammatic section renderings for early designs of the 2nd Avenue Subway line in New York City. These images are/were part of a larger set of images including perspectives above and below ground as well as other diagrammatic visuals. 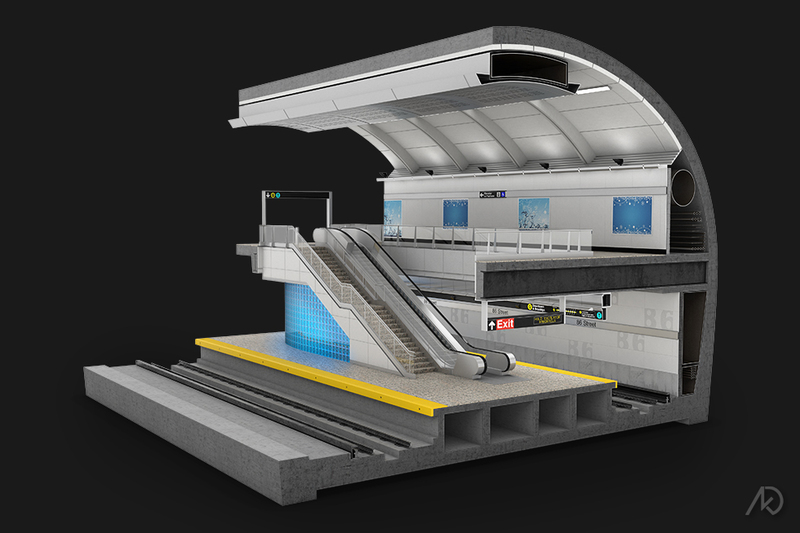 The sections show the platform and mezzanine level for both the 86th and 96th street stations. 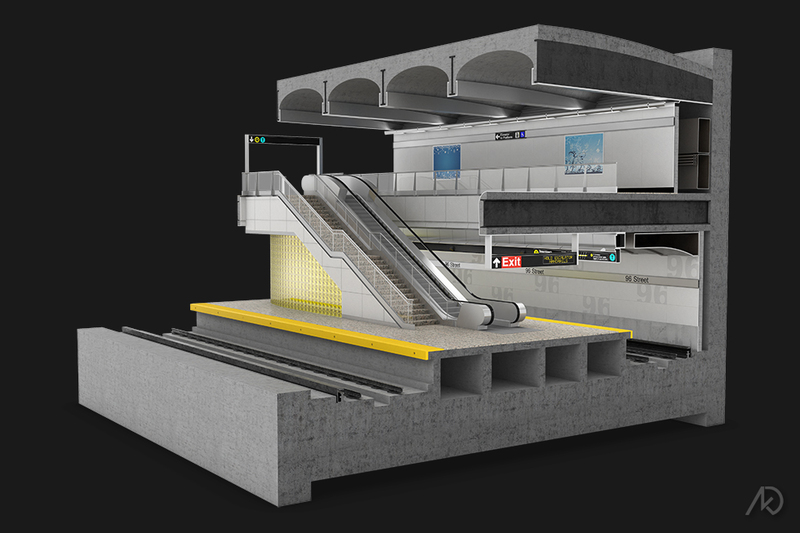 This view shows a small portion of the 86th Street station mezzanine and platform. This section was used to display many of the great designed elements, which include the column-free platform – a large selling point for this design. which runs the length of the mezzanine ceiling. This view shows a small portion of the 96th Street station mezzanine and platform. At the time of this rendering, the 96th Street station also contained a beautiful ceiling of barrel vaults.